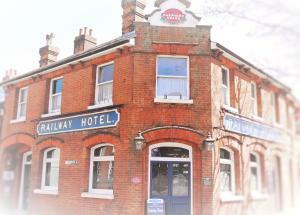 Just 2 minutes’ walk from Faversham Train Station, Railway Hotel has been serving the town since the 19th century. Its bar maintains Victorian character, and en suite rooms are complemented by free Wi-Fi and free parking. See all Railway Hotel reviews..